The Majestic Colonial Punta Cana review lives up to its name as it is just that - majestic. We don't usually place pictures in the body of our pages, but the Majestic Colonial Punta Cana review isn't your regular hotel. This large, incredibly well laid out resort is set on a section of beach that juts out into the warm Caribbean Sea, creating the feel of being surrounded by tropical waters. Looking out to sea, guests will be taken by the contrast of the deep blues to the left and the jeweled turquoise to the right. As guests make their way back over the warm, soft, white sand they will come upon a meandering pool that seems to go on forever. Small islands throughout the pool, with palm trees for shade, will lure guests into the water as they make their way through the resort. The Majestic Colonial Punta Cana review, contrary to its name is actually quite new, having been built in January of 2006. The well appointed rooms are open concept and furnished with two full size beds or a romantic king size four poster bed, for a truly Colonial feel. Choose from a variety of luxurious rooms to customize your getaway. Select from an array of multi-cultural cuisine. A variety of activities are available to guests, including snorkeling, a tropical favorite. Palapas and chairs are available throughout the resort and on the beach. Palapa bars give the resort a tropical flare, while swim up bars provide the ultimate vacation atmosphere. Parents can relax knowing that their children are being entertained at one of two kid’s clubs, including a large sand castle play area. Treat yourself to a spa treatment while your golf enthusiast plays a round of golf at the PGA championship course Punta Blanca Golf, located nearby (designed by Nick Price). There is night time entertainment every night at the Majestic Colonial Punta Cana review, soak in the smooth sounds of the Sax while you sip an island cocktail for the ultimate in relaxation. 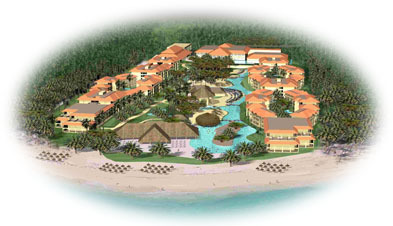 Explore the majestic beach of The Majestic Colonial Punta Cana review. The beach at the Majestic Colonial is especially beautiful as it juts out into the dazzling blues of the warm Caribbean waters. This unique geographic feature makes you feel surrounded by the healing waters of the Caribbean. Snorklers swim from turquoise waters to the deeper blue waters while exploring the dazzling color of tropical marine life. The coral reef provides a delightful backdrop for the busy multi-colored fish and other marine animals. The soft, white sand beaches of the Bavaro beach will entice your to lie right on them to soak up their warmth, although palapas and chairs are available. A variety of water sports are also available to guests of the Majestic Colonial Punta Cana review. Variety and Ambience make up the dining experience at the Majestic Colonial in Punta Cana. Guests of the Majestic Colonial Punta Cana review can choose from a variety of dining pleasures and experiences. The Supreme International Buffet offers a wide range of freshly prepared international cuisine in a buffet setting. Portofino Italian Buffet satisfies any pasta craving. Take this opportunity to sample local delicacies from the a la carte menu at the Taino Caribbean Restaurant. Le Gourmet, gourmet restaurant, Matsuri, Japanese and Asian cuisine serve the sophisticated palette while La Hispanolo beach side grill is a great way to eat while never leaving the beach. When nothing will satisfy like a juicy steak try the Rodeo Grill Steak House. Tres Carabelas Seafood satisfies the cravings brought on by the marine air with their seafood oriented a la carte menu. The 659 rooms of The Majestic Colonial Punta Cana review offer a variety of different room combinations to best suit your vacation style. Whether you are traveling as a family or on a romantic getaway, you are certain to find the room type to meet your particular wants and needs. The hotel offers rooms with a king size four post bed or two full size beds. Suites are available with two different rooms for added privacy; quiet for sleeping children or simply because you desire more space. Indoor Jacuzzis for two are found in most suites, while outdoor Jacuzzis add a romantic flare to the room. All guests are treated to tubs and separate luxury showers with three different settings; rain, massage and soft stream. Air conditioning is available in all rooms for your comfort along with all other amenities necessary to ensure a carefree vacation at The Majestic Colonial Punta Cana review. When you are not sitting pool-side or soaking up the sun at the beach you may choose to take part in any one of The Majestic Colonial Punta Cana’s activities. While the children are enjoying their day at one of two kids' clubs, you can be taking part in a game of tennis, working out at the fitness center, relieving stress at a yoga or aerobics class or pampering yourself at the resort spa. The golf enthusiast will enjoy the professional championship course situated nearby, while the amateur tries their luck at the resort’s mini golf course. The Championship course, Punta Blanca Golf Course, is brand new and was designed by the famous Nick Price. This Punta Cana golf course is definitely worth the trip and is likely to become the reason for a lot of people’s trips to the Majestic Colonial Punta Cana. Snorkel or water ski while down at the beach or try out any of the non-motorized water crafts available to the hotel guests. If you like to come alive when the sun goes down you will enjoy the club’s various live shows and the Disco Bar. A casino is also available on site. The Majestic Colonial Punta Cana is a brand new Caribbean resort whose designers have definitely done their homework. Like the prices for the Majestic Colonial Punta Cana? Hit any of the "Get Quote" buttons on the page and we'll send you a booking confirmation form or give us a call toll-free and we'll answer any questions you may have. Let's make that dream vacation a reality - join the All Inclusive Resorts Family. Do your own Majestic Colonial Punta Cana review this season!